*I was sent this book by the author in exchange for my honest review. As always these opinions are my own. Synopsis from Goodreads: The Hunger Games meets Romeo and Juliet in a stunning debut about a forbidden romance between a young activist and a government employee for a corrupt bureau that controls the population by deciding who lives and who dies. First of all, thank you so much to Tessa Clare for sending me a copy of your amazing book! I highly enjoyed it and am looking forward to the next installments! In short, this book was an incredible read. If only life hadn’t gotten in the way, I could’ve had this guy read in a few days! The first thing I must comment on is Tessa Clare’s world building. In a dystopian novel, (my favorite kind of novel mind you so I am very picky!) I am such a stickler for good world building. It has to make sense as to why the world is the way it is and it has to be believable. The world of The Divinity Bureau was all that and more! Tessa Clare went into lots of detail about the structure of the overpopulated world and how it got to be that way. I really appreciate that attention to detail. I hate it when authors just expect the reader to accept that the world is screwed up with no explanation as to why. Next the characters. I felt like I knew Roman. He was such a believable and relatable character (I too have a master’s degree and still struggle to find work!) April was the strong female lead that I CRAVE for in all Young Adult lit! Yes, it is a love story between her and Roman but she is not the type of helpless, sappy, weak female lead whose life depends and revolves around her romantic endeavors. She is strong with or without Roman but like all great relationships, both April and Roman bring out the best in each other. I also loved that we got both Roman and April’s point of view. The chapters alternated to both Roman and April telling parts of the story. It was extremely well done. Reminded me of everything I loved about Marie Lu’s Legend. I don’t have much bad to say about this book. 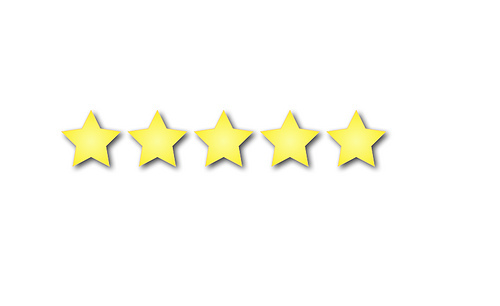 I didn’t feel like it drug in any place and the story really moved and pushed forward. This book is set to be released on both Amazon and Barnes and Nobel on September 21st. So is it worth your time and hard earned money? Short answer: absolutely!! 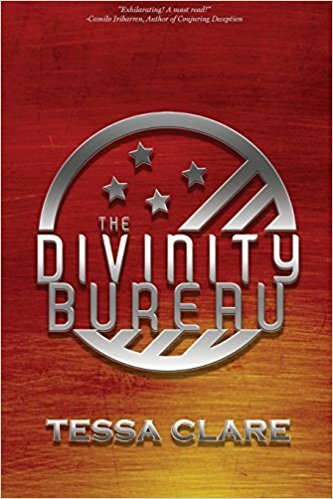 If you are looking for a fun, action packed, romantic, plot driven book then look no further than The Divinity Bureau by Tessa Clare!